Bend Soap Company | Buy 4 get 1 free! At the Bend Soap Company we make all-natural goat milk soaps and all natural skin care products from the highest quality ingredients, specifically chosen for the vitamins, nutrients, and hydration they offer the skin. Come visit our soap house, located on a beautiful farm in Tumalo, Monday – Friday from 10 am – 5 pm to see our full range of all natural skin care products. Visitors to the soap house can take advantage of our special offer: Buy 4 bars of goat milk soap and get 1 free! Plus, everyone who visits the soap house receives one free sample of our travel size soap! We also offer FREE tours daily at 2:00 pm that are fun for kids and adults alike. Bend Soap Company. Creating affordable, all-natural, farm fresh skin care products for our family and yours. 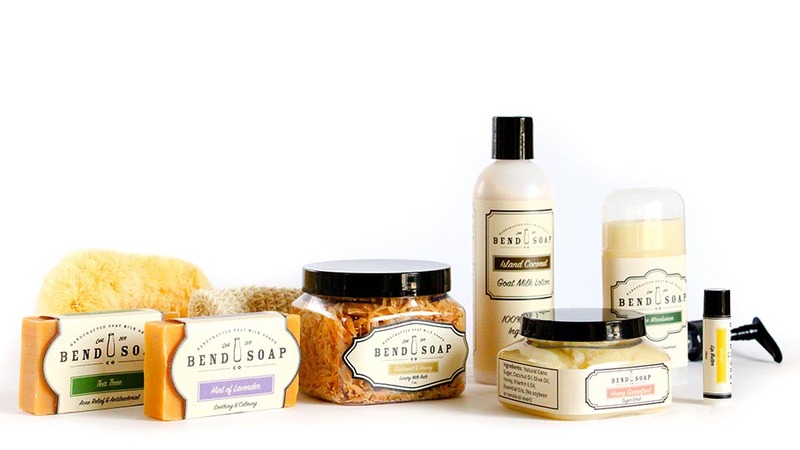 Explore What's Near Bend Soap Company | Buy 4 get 1 free!